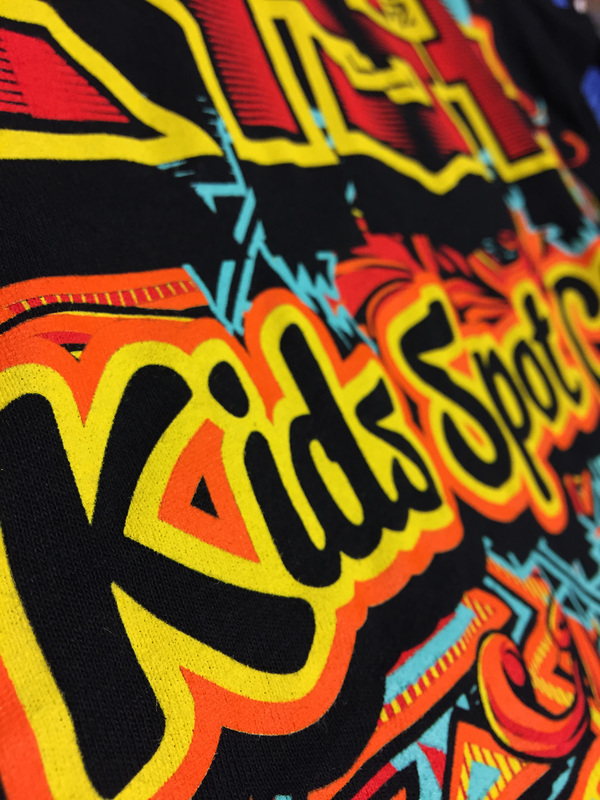 Soft hand plastisols deliver a similar look and feel to discharge inks but at a lower price and with more ease. 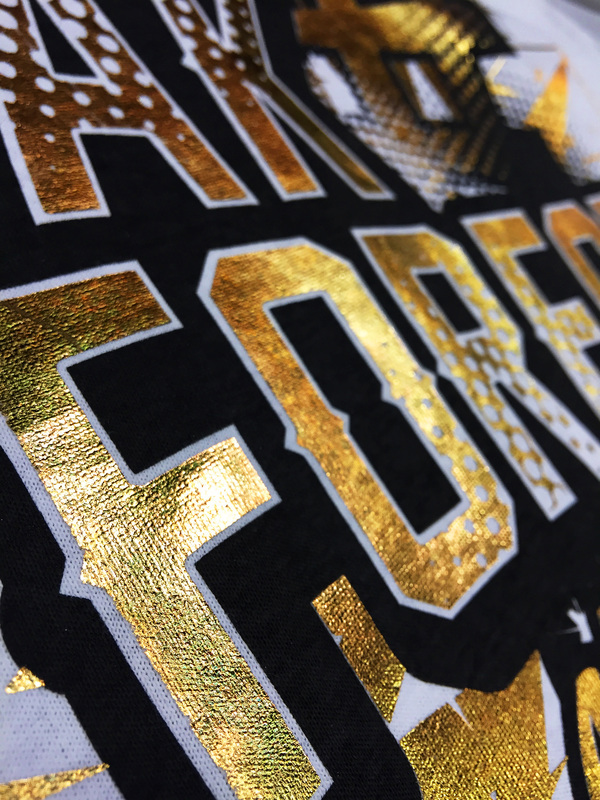 Mix the soft matte of discharge ink with the shine of foil to create a unique look to catch your clients eye. 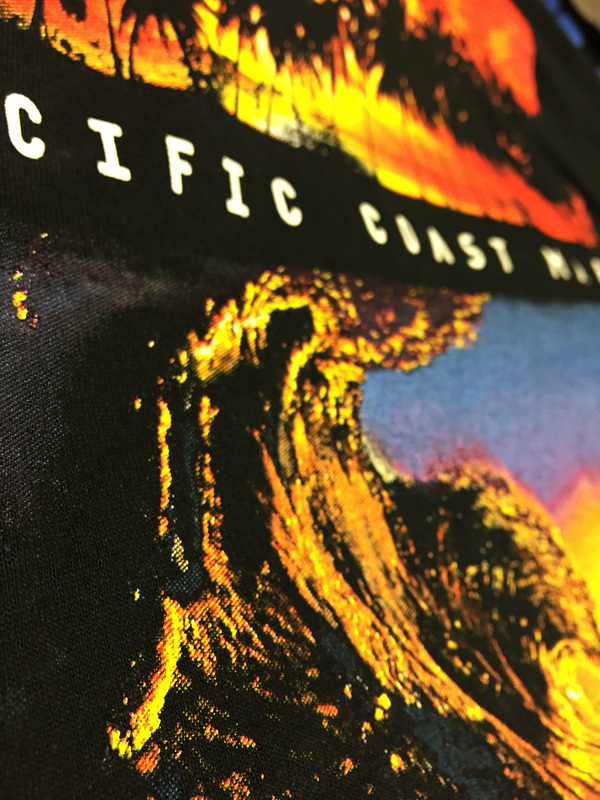 Discharge inks are designed for 100% cotton fabrics. Discharge is a process of dying the garment. 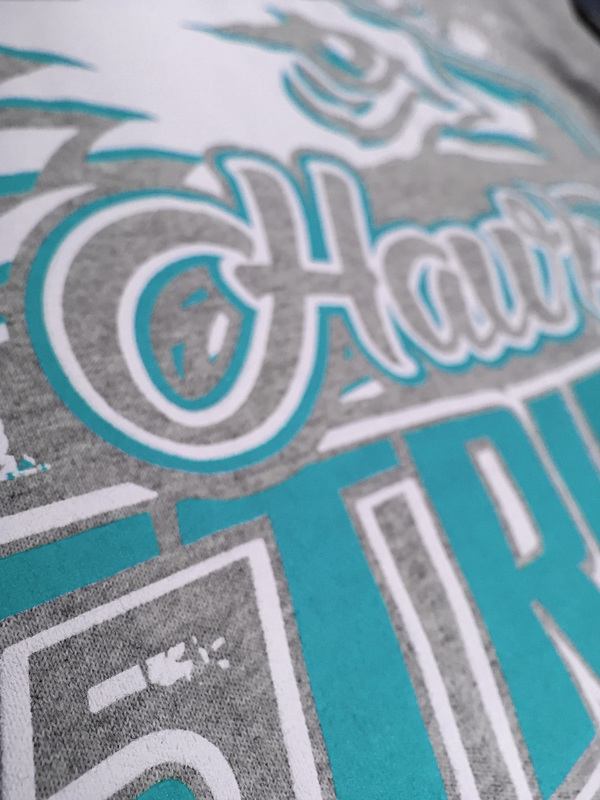 Discharge can be used on all dark colors using an agent to remove pigment. 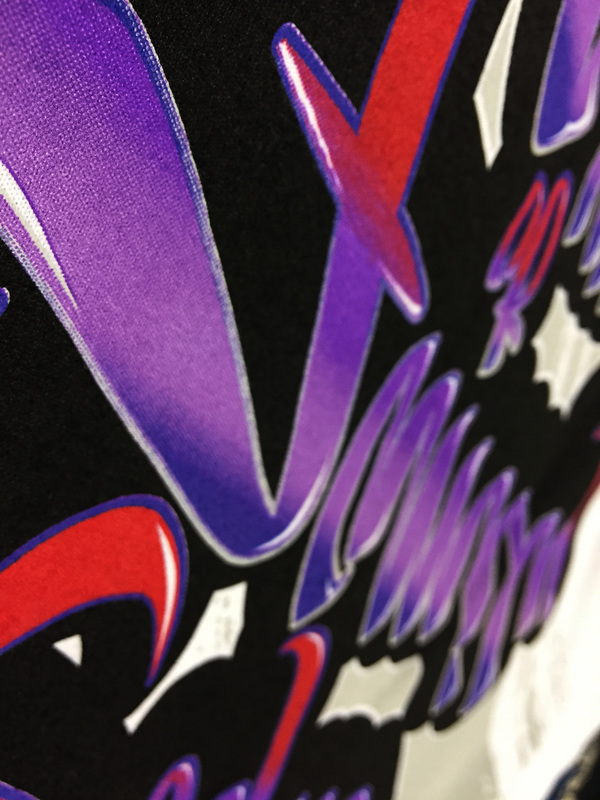 Plastisol athletic ink is used for most front chest basic prints also used if heavy bright colors or clean crisp lines are desired. 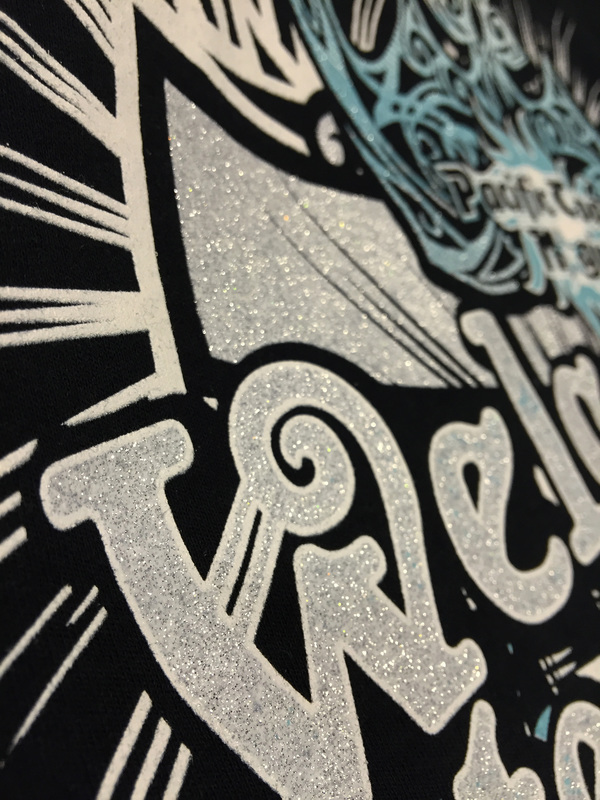 Glitter ink is when metallic flakes become an additive in the ink base to create this sparkle effect. Usually available in gold or silver but can be mixed to make most colors. 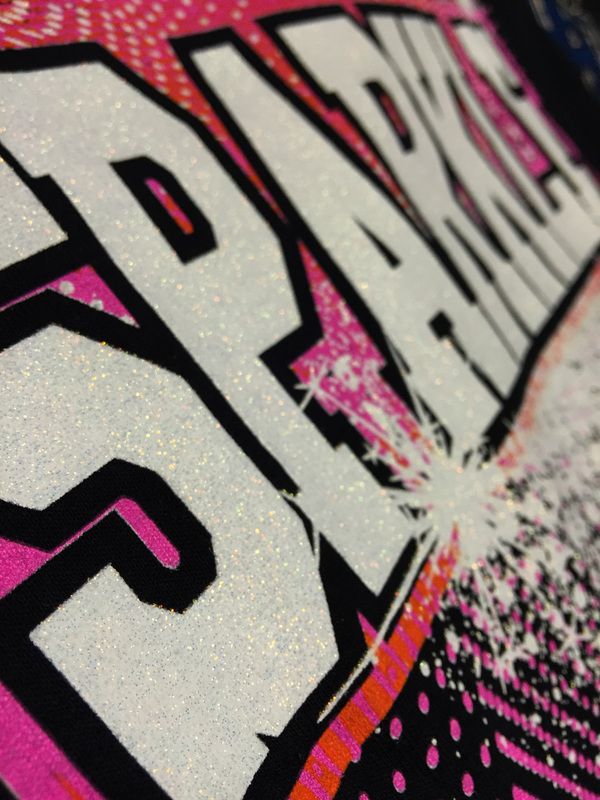 Shimmer ink is when metallic flakes become an additive in the ink base to create this sparkle effect. Usually available in gold or silver but can be mixed to make most colors. 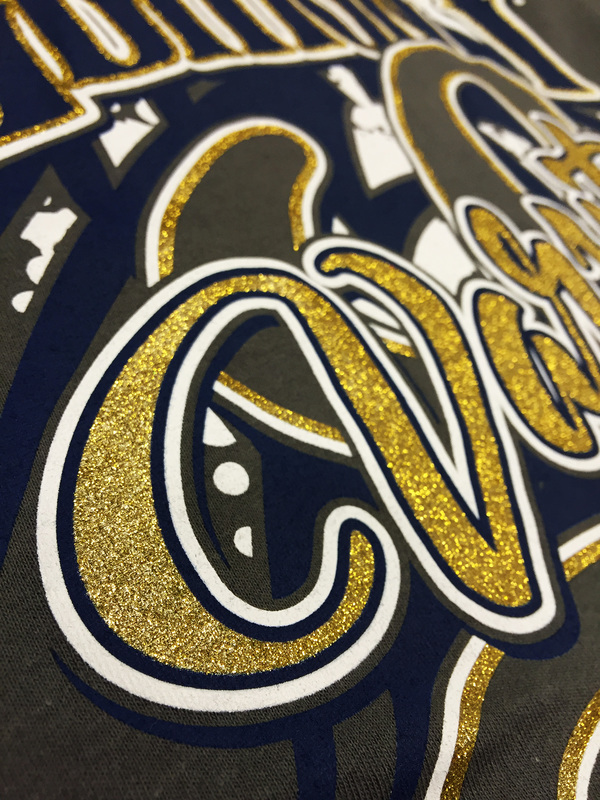 One of our most popular embellishments, foil adds value and makes any garment shine. We only use the highest end foil and apply clear adhesive for a smooth flawless look. 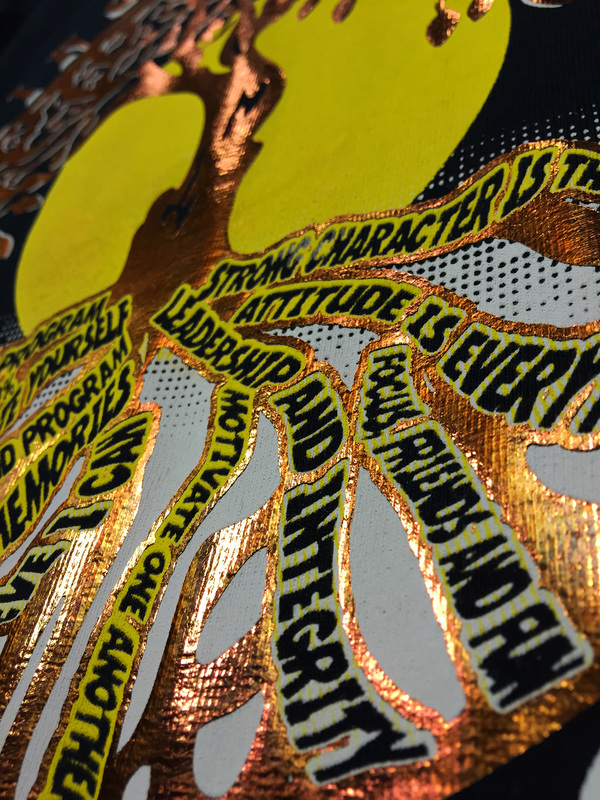 We also offer foil applications in large format. Add a gel coat to any color to make a shiny glossy surface. 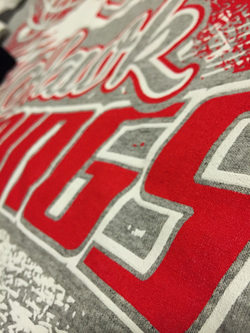 We can print very high res half tones to produce photorealistic images. 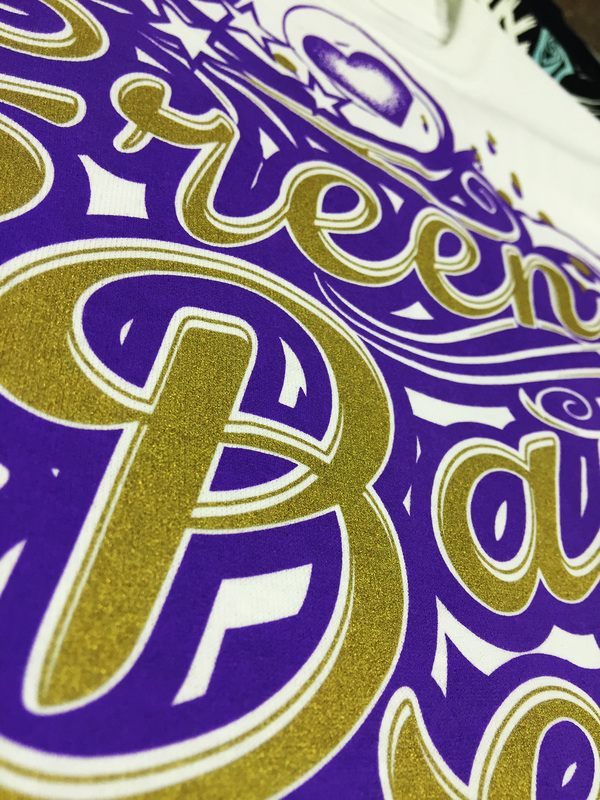 Jewel tone ink can add a brilliant metallic look without tarnishing effects when washed. 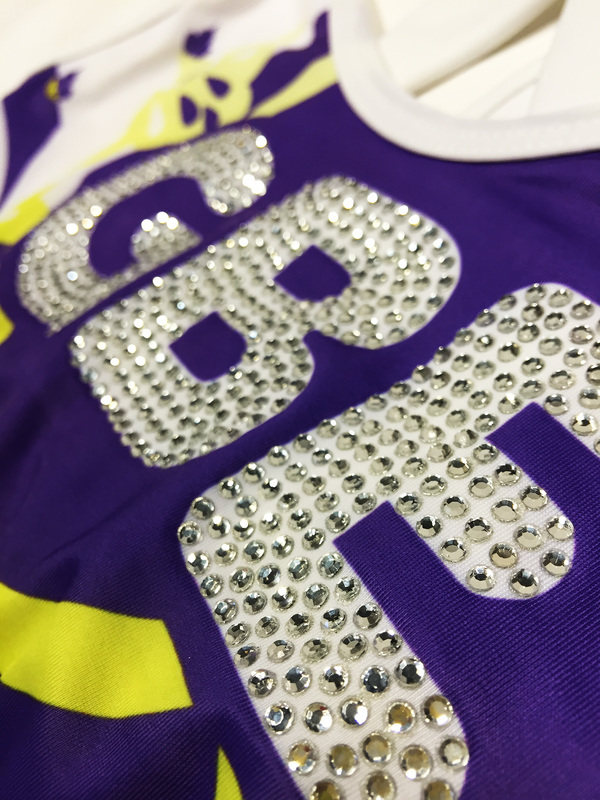 Rhinestones: embellish any garment with our stones that come in a large variety of colors. 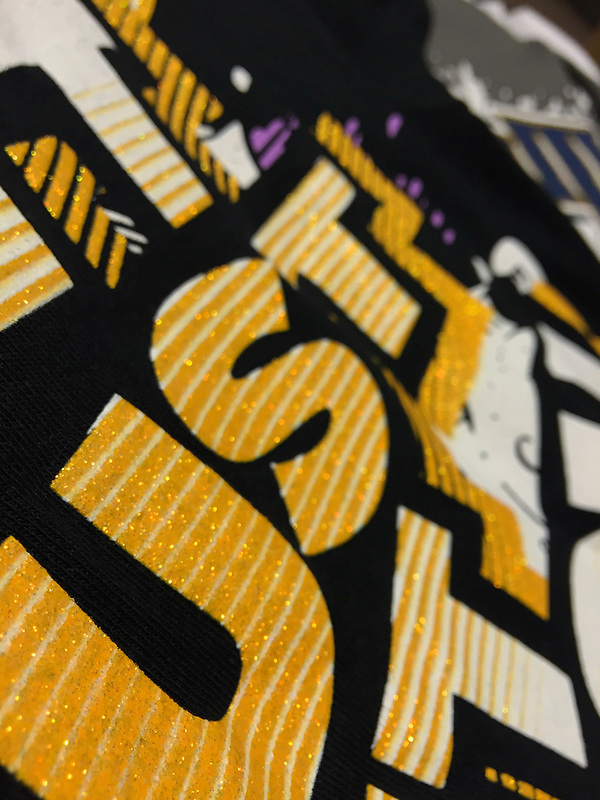 Liquid Gold is similar to glitter, but smaller particles suspended in the ink. 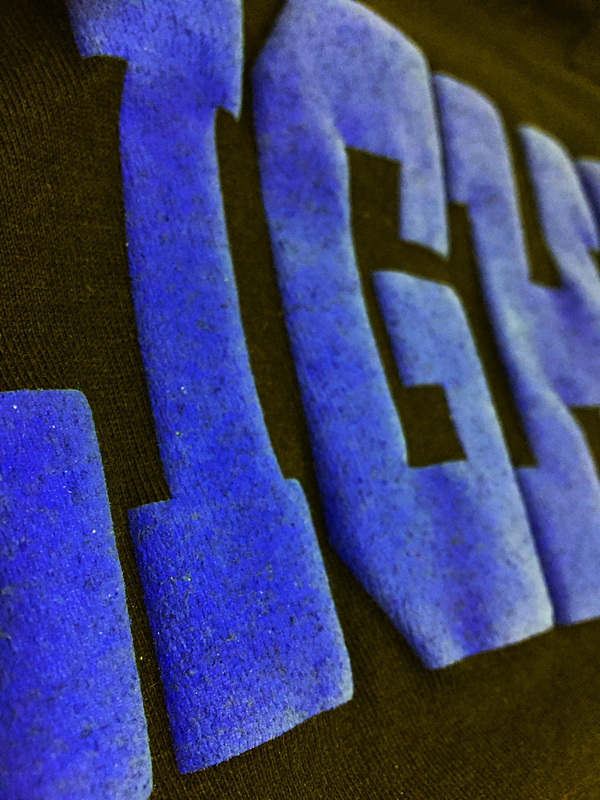 A glue is printed onto the fabric, then nano-scale fibers applied on it. 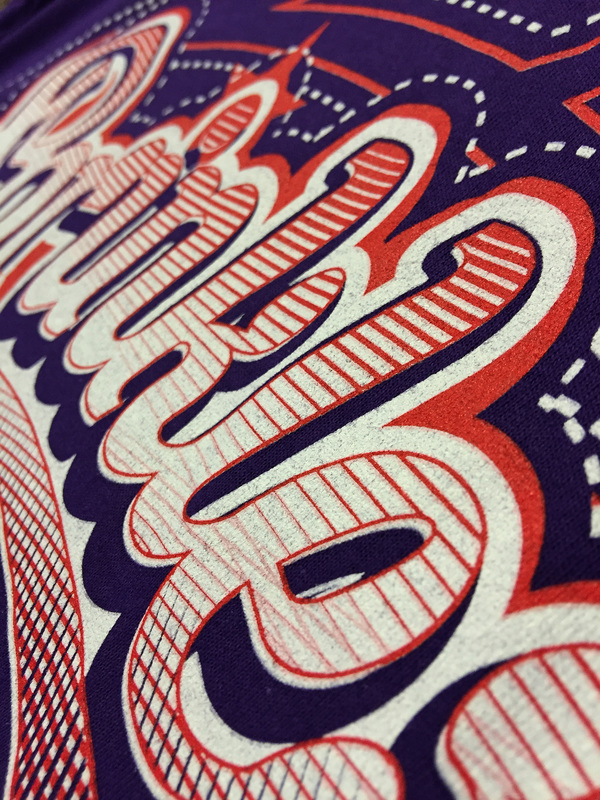 This is often purchased already and is relatively similar to metallic ink. Available in Silver as well. 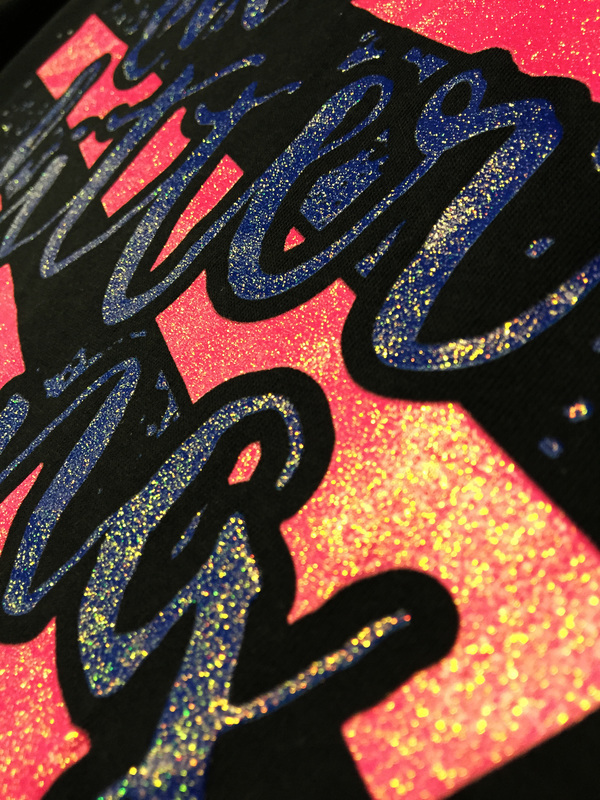 Glitter ink is when metallic flakes become an additive in the ink base to create this sparkle effect. Usually available in gold or silver but can be mixed to make most colors. Available in Silver as well. 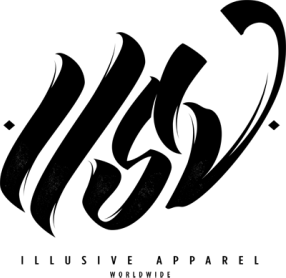 ILLUSIVE APPAREL WORLDWIDE © COPYRIGHT 2019. ALL RIGHTS RESERVED.